HRANA News Agency – Nazila Hamidova (Hamidov), a citizen of Azerbaijan Republic in women’s ward in Evin prison, was released from this prison. Maryam Zargaran, Leila Jafari, and Setodeh Fazeli were sent to furlough from the same ward and Marjan Davari was sent to Rey Women Prison (Qarchak). According to the report of Human Rights Activists News Agency in Iran (HRANA), Nazila Hamidova was released from women’s ward of Evin prison, on January 21. Nazila Hamidov is a non-Iranian citizen and a native of the city of Baku in Azerbaijan Republic. She had been arrested in the city of Tabriz, in April 2015, and after 10 months enduring solitary confinement in this city, was transferred to ward 209 of Evin Prison. After 2 months in this ward, she was transferred to the women’s ward of this prison. She is not fluent in Farsi so she was tried by the military court with a Russian and Azerbaijani interpreter. She had been deprived of having visitors and being sent to furlough. A bail was issued for her during the hearing time but as she had no property in Iran and on the other hand the judicial system refused to accept equivalent amount of cash, she had to stay in prison. It is not clear that why and under which conditions Ms. Hamidova was released. At the same time, Maryam Zargaran, Leila Jafari, and Setodeh Fazeli were sent on four-day long furloughs. Nasim Zargaran has been diagnosed with ASD and had a heart operation 9 years ago and needs constant medical care. She had gone on hunger strike several times to protest against her verdict and lack of medical careMaryam (Nasim) Naghash Zargaran was summoned to the intelligence office for the first time in February 2011 and was interrogated. These interrogations which were accompanied by threatening and harassing her family members and happened in unofficial locations, continued around the subject of home churches. Finally, she was summoned by the security police on the phone and was arrested, Saeid Abedini, Iranian-American citizen who came back to Iran for foundation of an orphanage in North of Iran was arrested, too. On the same day her father’s house was investigated by the police and her books, religious pamphlets and personal accessories were seized. She was transferred to Evin prison in order to be finger printed and then transferred to Vozara building without any charges. She was kept there for 5 days and nights with minimum facilities for living and was interrogated there. The main topic of the interrogations was home-churches, reason of increasing number of them, their members and quality of rituals in these churches. Ms. Zargaran was transferred to Evin prison and in branch number 2 of Shahid Moghadas charged with propaganda against the regime. After 19 days of being under temporary arrest, she was released on the bail of 700 million IRR. She was sentenced to 4 years in prison in branch number 28 of the revolutionary court by judge Moghiseh, on charge of collusion and acts against the national security. This is while she never had a hearing about this allegation. Sotoudeh Fazel had been arrested in February 2009, and was released on the bail in May 2009. Ms. Fazel was sentenced to 3 years imprisonment on charges of sympathizing with the MEK, by Branch 15 of the Revolutionary Court presided by Judge Salvati, and was arrested on June 29, 2016, and then was transferred to the women’s ward of Evin prison, to serve her imprisonment sentence. She suffers from various diseases such as eye strain and muscle weakness. 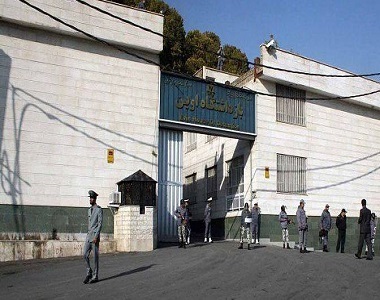 Leila Jafari, the third prisoner who has been sent on leave, is one of the lecturers of Erfan-e-Halgheh. She was arrested, on December 15, 2013, and after serving 11 days in solitary confinement in ward 2-A of Evin Prison, was released temporarily on a bail of 1 billion IRR. Judge Ahmadzadeh of Branch 26 of the Revolutionary Court, sentenced her to two years imprisonment, and she began to serve her imprisonment sentence, on June 7, 2016. Along with these four prisoners, Marjan Davari, imprisoned researcher and translator, was transferred to the women’s prison in Rey (Qarchak). Marjan Davari was arrested at her father’s home in Mehr Shahr in Karaj on September 24, 2015. She was held in Rajai Shahr prison for one week, and then was transferred to ward 209. She was held in solitary confinement from September 30, 2015, to January 3, 2016, (about four months), and then was transferred to the women’s ward. Her interrogation session was held in March 2016, and the hearings were held on October 16, 17, and 18, 2016, in Branch 15 of the Revolutionary Court presided over by Judge Salvati. Ms. Davari is a researcher and translator.